Exploring methods and techniques to optimize processing energy efficiency in process plants, Energy and Process Optimization for the Process Industries provides a holistic approach that considers optimizing process conditions, changing process flowschemes, modifying equipment internals, and upgrading process technology that has already been used in a process plant with success. Field tested by numerous operating plants, the book describes technical solutions to reduce energy consumption leading to significant returns on capital and includes an 8-point Guidelines for Success. 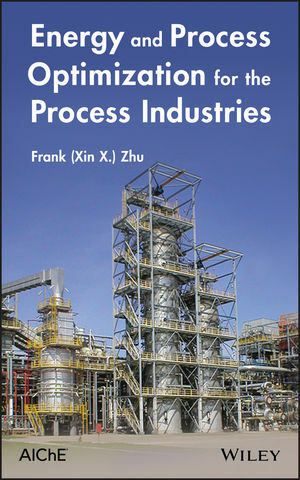 The book provides managers, chemical and mechanical engineers, and plant operators with methods and tools for continuous energy and process improvements. FRANK (Xin X.) ZHU is a Senior Fellow at UOP LLC, where he has led innovation efforts to optimize industrial process design and operation to achieve higher energy efficiency and lower capital cost. Before joining UOP, Dr. Zhu served as a research professor at the Centre for Process Integration at the University of Manchester in the UK. He is also a former editor-in-chief of CACS Communications, the magazine of the Chinese-American Chemical Society. He is the recipient of the 2014 AIChE Energy and Sustainability Award.